As Offshore Sailing School enjoys its long legacy of continued education and adventure sailing vacation trips and programs, a host of exciting tried and true, and new, opportunities are available for Offshore Sailing School alumni, friends and sailors who want to keep on sailing. Founded in 1964 by renowned sailor, Steve Colgate, Offshore Sailing School has programs designed to open new horizons and special adventures for sailors everywhere, to tempt you to continue your sailing and boating education. View a video recap of our 2019 “Dutch’s Insider’s Guide to the BVI” flotilla vacation here. Read more about flotilla sailing adventure vacations. We have expanded our group sailing vacation packages that give you opportunities to see the world under sail. Originally just for Offshore alumni, these adventure vacations are open to all sailors who enjoy group sailing adventure trips. 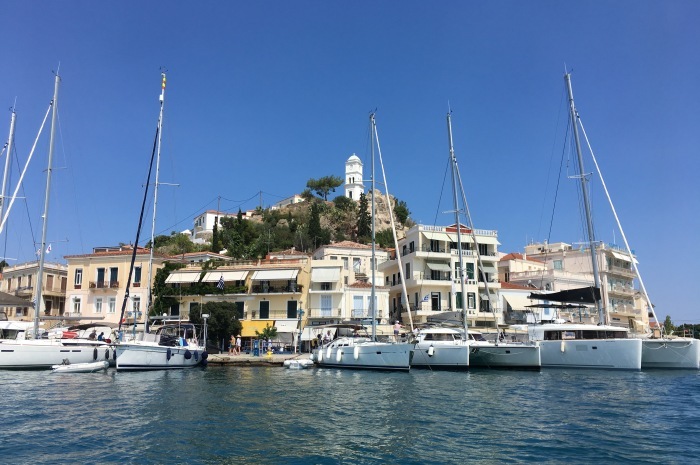 Known in sailing circles as “flotilla cruises,” these one week or longer group cruises are organized through Offshore Sailing School on fleets of sailboats all over the world. Whether you are new to sailing as an Offshore Sailing School alumni, or a seasoned sailor who wants to experience more, flotilla sailing vacation packages allow you to sign up, show up and get underway without the responsibilities of cruise organization. Read more about flotilla cruises here . . .
Heeding the call of women who want to take the helm with confidence, and following Doris Colgate‘s mantra to make sailing the ultimate self-esteem building adventure vacations for women, these special adventure sailing trips provide educational opportunities for women to learn from expert women instructors in a supportive environment. 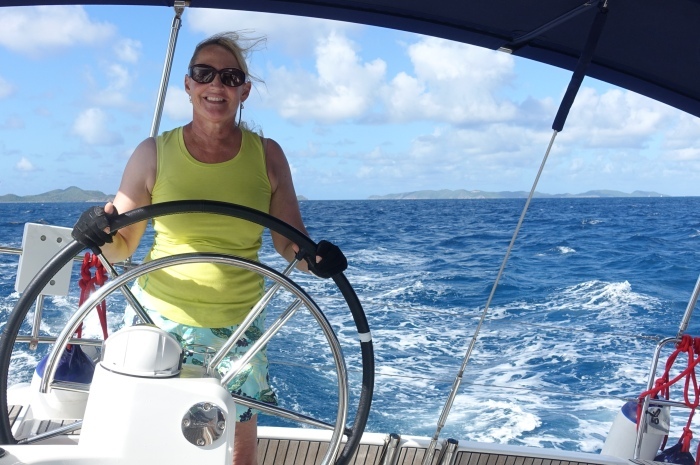 Doris, our president and CEO, started the National Women’s Sailing Association and Women’s Sailing Foundation in 1990, and continues to be the driving force in putting women in control of their sailing destinies. Find more information on our sailing lessons for women only. View “Girls Gone Sailing” video here. In April, our annual Offshore Sailing School/North U. Performance Race Week (sold out each year in November) takes on more innovation in its 19th season of collaboration between these two great educational institutions. Even though you may have taken several courses with Offshore Sailing School or some other sailing organization, you never stop learning. The best sailors in the world will tell you there’s always something new to learn. Explore our many advanced course opportunities. Try a Racing Course. Learn more about Navigation and Passage Making. Join a women-only cruising course. Sign up for our e-newsletter and stay in touch with Offshore Sailing School for new alumni courses and programs. Contests with enticing prizes are held annually – some just for Offshore Sailing School graduates. 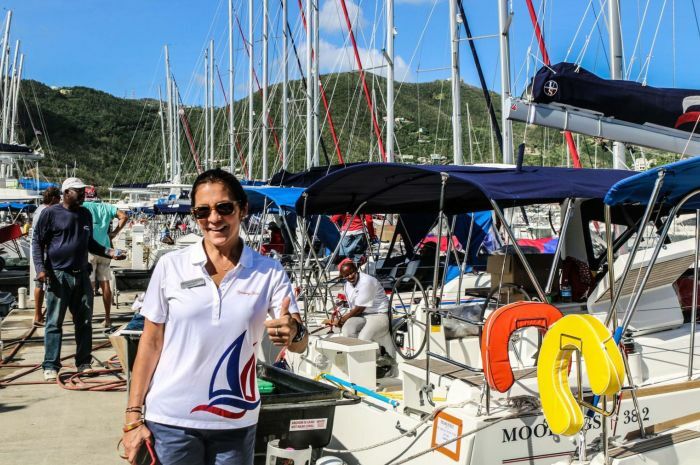 The latest contest provided a FREE weeklong bareboat charter in the British Virgin Islands on a Moorings yacht for the lucky winner. Discounts with our partners provide you with excellent value. Alumni Benefits are just one way we say “thank you” for choosing Offshore Sailing School, and referring Offshore Sailing School to friends and family. 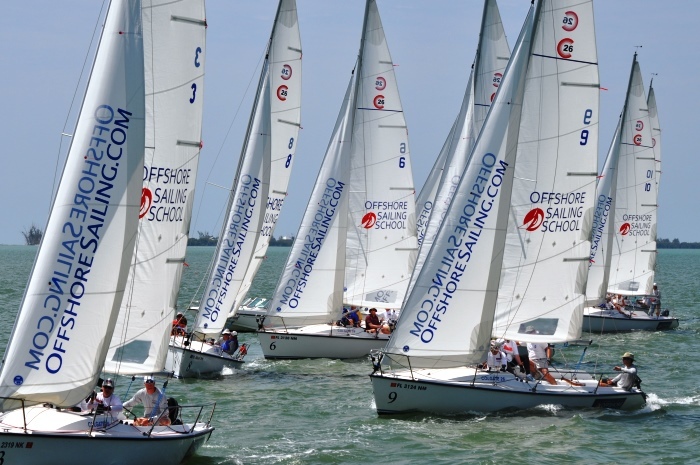 Offshore Sailing School is a national sponsor of The Leukemia & Lymphoma Society Leukemia Cup Regatta program. We invite you to join us in special events to raise money for this organization and other important causes. These are fun sailing activities that add to your sailing knowledge, and bring camaraderie and a sense of pride to all who participate. Check our News and Philanthropy pages and learn how you too can make a difference. We are celebrating our 10th year as a national sponsor and look forward to hosting the annual Leukemia Cup Regatta “Fantasy Sail” weekend in December 2019, at the beautiful Pink Shell Beach Resort & Marina on Ft. Myers Beach, Florida. Hopefully we’ll see you there as a top fundraiser supporting the need to find the cures for blood cancers! Get Updates About Alumni Activities!